From an acclaimed cultural critic, a narrative and social history of the Great American Songwriting era. Everybody knows and loves the American Songbook. But it's a bit less widely understood that in about 1950, this stream of great songs more or less dried up. All of a sudden, what came over the radio wasn't Gershwin, Porter, and Berlin, but "Come on-a My House" and "How Much Is That Doggie in the Window?" Elvis and rock and roll arrived a few years later, and at that point the game was truly up. What happened, and why? In The B Side, acclaimed cultural historian Ben Yagoda answers those questions in a fascinating piece of detective work. Drawing on previously untapped archival sources and on scores of interviews--the voices include Randy Newman, Jimmy Webb, Linda Ronstadt, and Herb Alpert--the book illuminates broad musical trends through a series of intertwined stories. Among them are the battle between ASCAP and Broadcast Music, Inc.; the revolution in jazz after World War II; the impact of radio and then television; and the bitter, decades-long feud between Mitch Miller and Frank Sinatra. 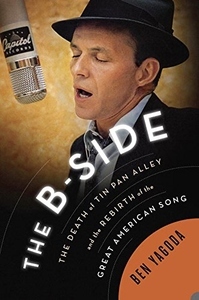 The B Side is about taste, and the particular economics and culture of songwriting, and the potential of popular art for greatness and beauty. It's destined to become a classic of American musical history.